Bold is nourishing. Bold is inspired. Bold is food that means business. And Bold is big-as in 250 recipes filled with big flavors to be served in big portions. From the culinary team of Susanna Hoffman and Victoria Wise-who between them have authored or coauthored more than fifteen cookbooks including The Well-Filled Tortilla Cookbook and The Well-Filled Microwave Cookbook-Bold brings together the beloved American tradition of delicious, plate-filling meals with the lively global flavors that infuse our culture and cuisine.This is comfort food that's been given an exuberant 21st-century makeover-slow-cooked roasts and braises, generous steaks, brimming soups, heaping platters of salads and vegetables, hearty pastas and grains, wild game, and rich desserts.This is Bold Stuffed California Pork Rolls. Buffalo Chili with Black Bean and Corn Salsa. Meat and Potatoes Korean Style with Quick Kimchee. Leg of Lamb with Spicy Pecan Pesto. 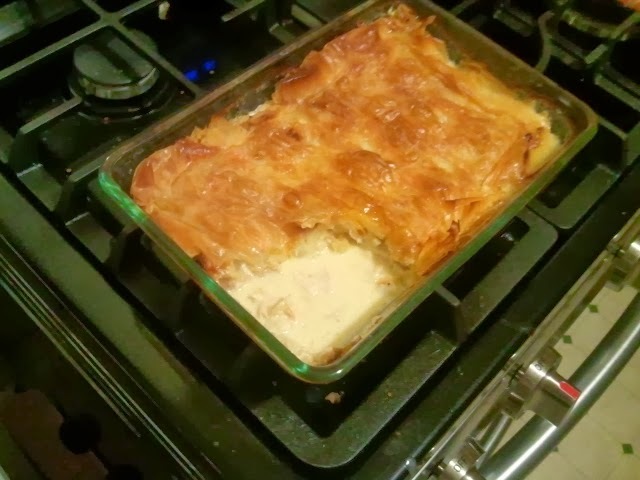 Chicken Pot Pie Under a Filo Crust. Crowded Corn Chowder with Cod, Shrimp, and Corn. Lime Curd Coconut Meringue Pie with a Macadamia Nut Crust. The book boasts a vibrant design that complements the recipes. Sidebars throughout offer cooking tips and advice, highlight people and places, and explore food history and traditions. Bold is America on a plate. 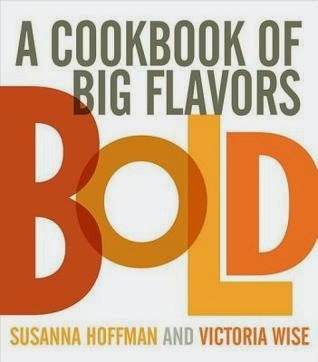 The Cookbook of Big Bold Flavors by Susanna Hoffman and Victoria Wise was a great cookbook with easy to read and follow recipes. O some recipe pages the author includes information about the ingredients or a little history about the dish as it progressed through the ages. 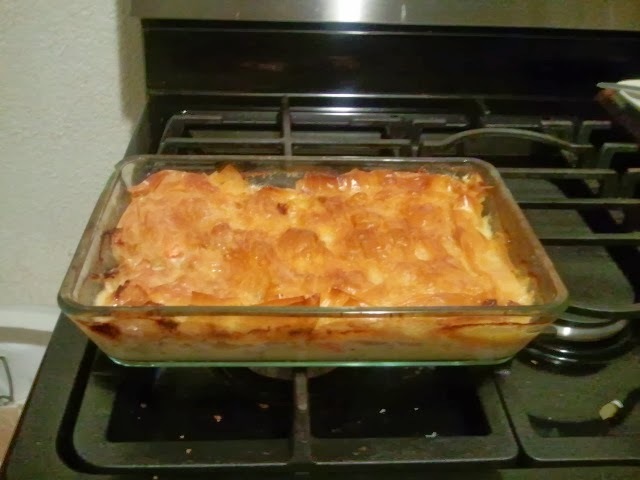 My family and I choose to use the Chicken Potpie under Filo Crust recipe. The estimated time for preparation was around 35minutes for all the chopping and 20minutes for mixing and cooking. Add to that 30 minutes in the oven to bake the ingredients together and in all the pot pie took about 90minutes to complete. I thought that was a quick way to make a Chicken Pot Pie. Most importantly my boys enjoyed making and eating the pot pie. No left overs! 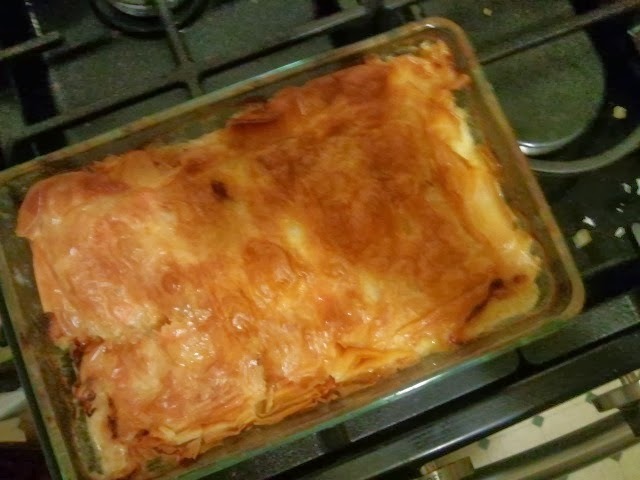 I have attached the picture of our finish product, yummy!